BC Modern is located in the heart of Milwaukee’s antique district, Walkers Point. Our eclectic inventory includes industrial, steam punk, retro, mid century modern, handmade and custom art. Our inventory rotates often, with new items coming in daily. We’re located at 900 South 5th Street and open weekly, Saturday & Sunday 12:00 – 5:00 PM. BC Modern is the brainchild of owner/operator Eric Lewis. In 2005, Eric started We Bay Auctions offering eBay consignment services to local businesses. By 2011, Eric expanded and launched Brew City Auctions. A full service auction company offering liquidation services to estate owners and businesses. Throughout the years of consignment, auction, and estate liquidation service, Eric developed a passion for mid century design and eclectic items. 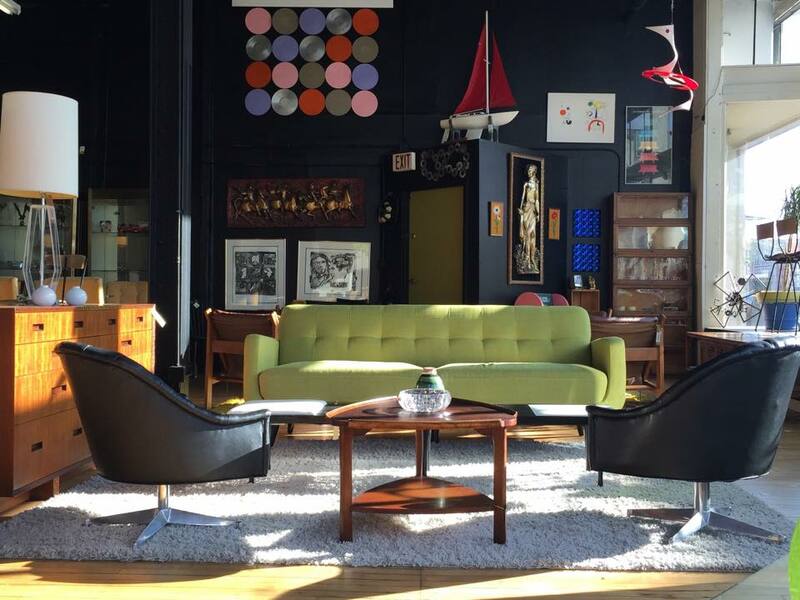 In 2015, Eric launched BC Modern to focus on his passion on mid century modern, unique and eclectic items. Every piece found at BC Moden is personally curated by Eric with carefully attention to detail and uniqueness. “My store is like really cool pop-up shop!” Each piece is curated exclusively for BC Modern making for a new and unique experience every week. Most of items are purchased directly from private estates or collectors. We buy partial/entire estates via our auction company Brew City Auctions. The coolest of cool items make the cut to come into the shop, the remaining items are liquidated through our live and online auction services. Looking to sell furniture or collectibles? We are particularly interested in furnishings/items from the 1950’s-1970’s . Free pickup and removal. Haul away and clean out services are also available. We buy one piece or everything!